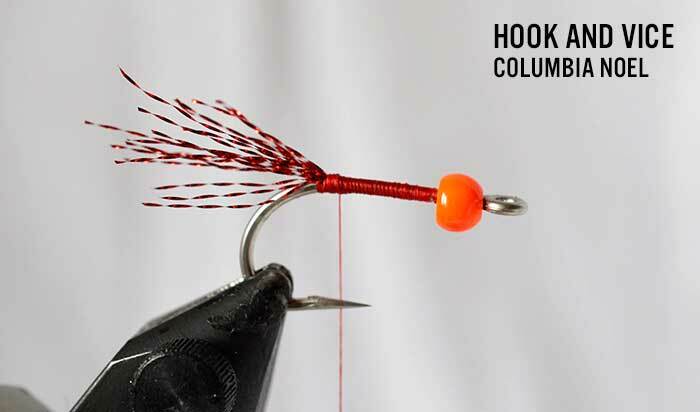 Columbia Noel – By Elliot Brass. 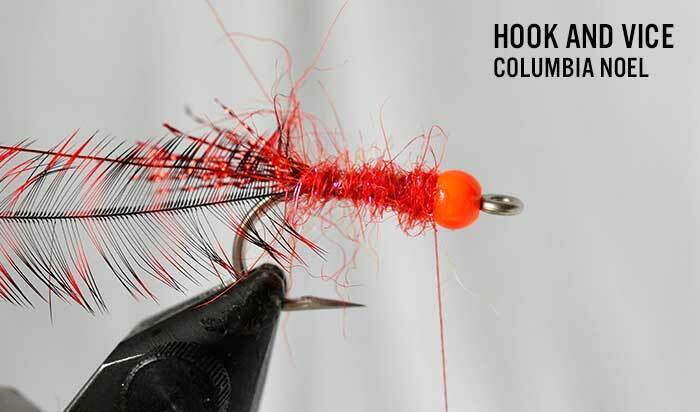 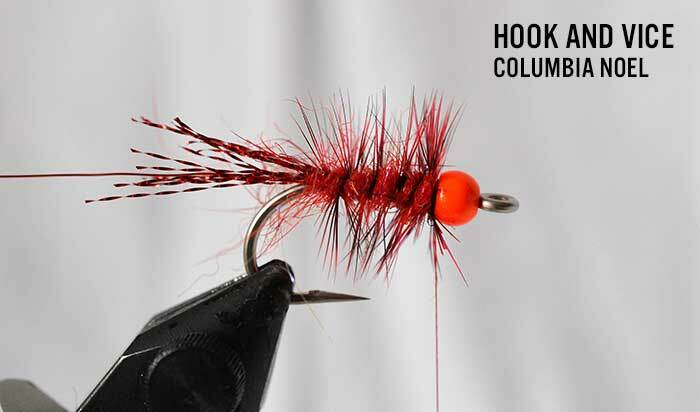 This great pattern is tied specifically for chum salmon. 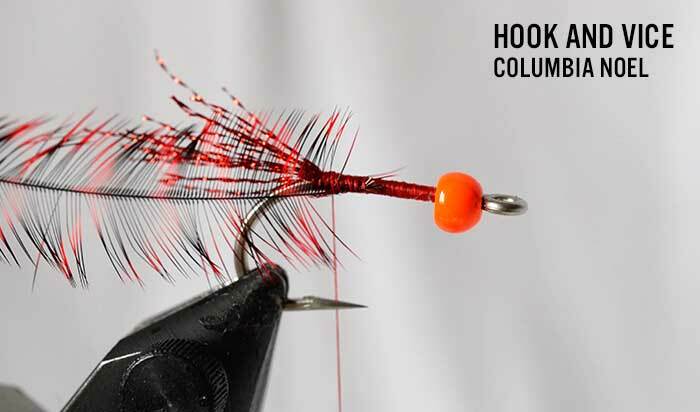 The up side is that it also catches chinooks, coho and rainbow trout. 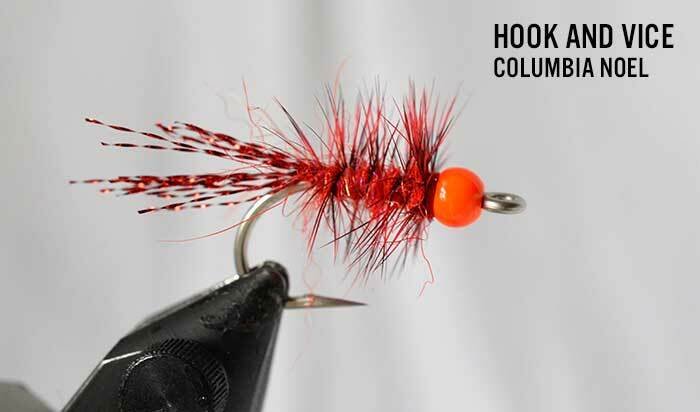 It is very similar to the classic coho fly the California Neil. 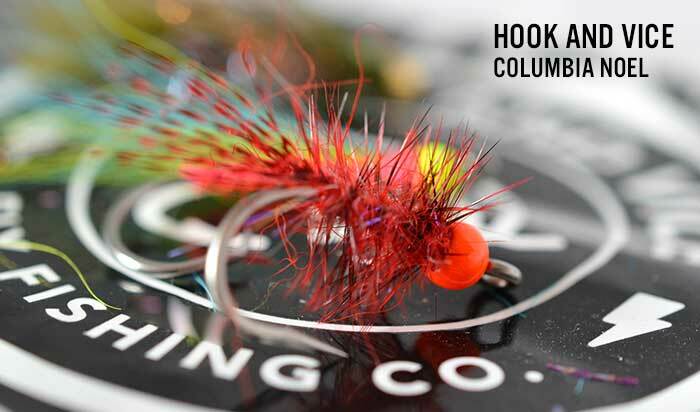 Named after Elliot’s fishing buddy and Hook And Vice founder Noel Fox, who is weirdly possessed with this fly in a selection of different colours. 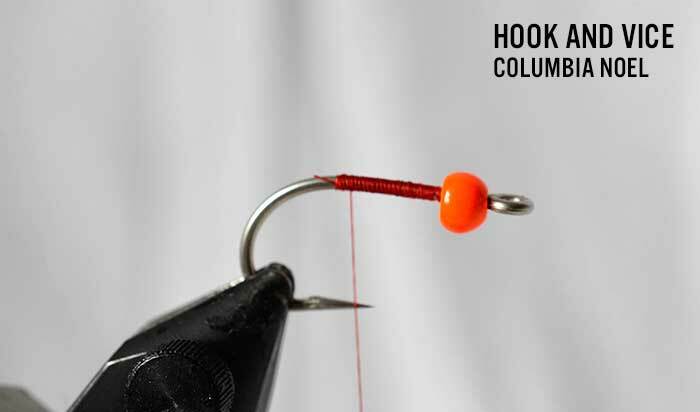 This one is tied in red and on a heavy hook as chum can bend out lighter hooks.